You may remember Ashley Hill’s guest post a few weeks back about the creepy and intriguing artwork for her short story, The Harvesters. Ashley has since been busy setting up her own blog touring company. Ashley’s here to talk about her new adventure. My dad pointed out to me that whenever I get a review request or a chance to help promote a book for an author, that’s when I truly light up. That’s when he can see an over flow of joy in my eyes. And he’s right, I love helping to promote books and doing reviews for authors. I’m at the crossroads in life, still trying to find my way, and because of that he suggested I try to find some way to turn this joy into a profit. Into a way where I can make a living doing something I truly love! So here I am. I’ve been thinking about starting this touring company for a while now but him saying that to me pushed me to finally jump head first. Since I don’t have a “day job” if you order a request from me you’ll have my full attention. I get a thrill out of this so I promise to make this the best experience ever! Plus I’m an indie author myself so I know how it feels when we’re selling an arm and a leg just to promote a book that hardly cost that much to publish in the first place, so here I promise you’ll find the most affordable prices with very effective services! Along with me Jaimie Admans, author of Afterlife Academy and Not Pretty Enough, is going to join me along this journey by being my banner designer for all tours and book blasts. I’m so glad to be working with her and I’m excited for you guys as she’s an amazing designer! Some examples of her banner designs are down below! Meara Falk always followed her parents’ rules, until one night in March when the temptation to let loose changed her life forever. Nine months later, disowned and with a baby on her hip, she discovers werewolves are real after being on the wrong end of one’s teeth and claws. 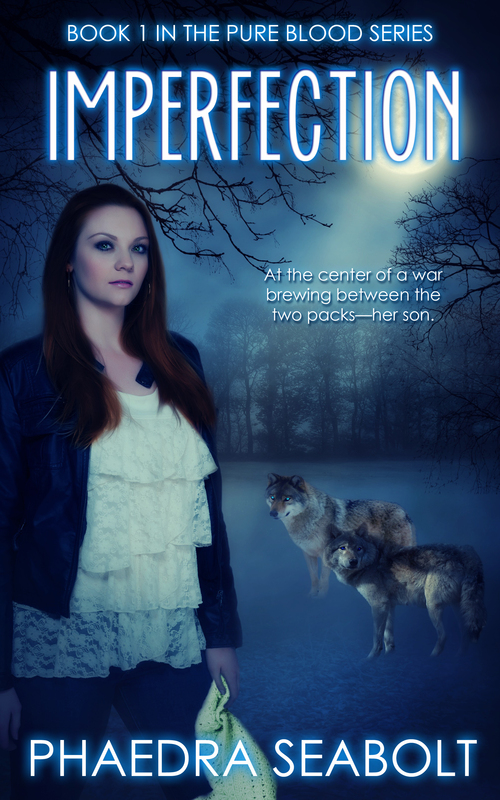 I’m organizing a Three Week Reviews Only Tour for Imperfection by Phaedra Seabolt. It’ll run between December 2nd through December 23rd. Review copies will be available in ebook format. Anyone can sign up! Bloggers and Authors, you also do not need to be a Tour Host for this Company to sign up! If you sign up, no matter what, I’ll make sure there’ll be room for you as there is no limit on the number of blogs! The only thing that matters is that we get at least 21 blogs to sign up! Along with reviewing this Novella you can also interview the author for the blog tour! So, what are you waiting for! Come join the fun! Good luck, Ashley. I wish you every success. This entry was posted in Various and tagged affordable blog tours, blog tour companies, indie authors, paranormal sisters blog touring company. Bookmark the permalink. This sounds like a good service for authors to promote themselves. I shared this post on Facebook. It is. I’ll be booking Ashley soon. How exciting. I am always looking to spread the word about new books and authors. Congratulations and I wish you much success in your endeavor! Thanks for stopping by and supporting, Sherry. Ooh, what’s this?? A werewolf series that’s not on my wishlist? I must rectify this immediately. Good luck Ashley and thanks for sharing Emma! Do you ever get bored of werewolves?! I’m the same though when it comes to vampires. I’m impressed with the pricing too. Next time round, I’ll be booking a tour with Ashley, Yep, a new tour for your novel would be great, Mae.